Phuket is Thailand’s biggest island and commonly referred to as the “Pearl of the Andaman”. The island is blessed with magnificent coves and bays, clear waters and some of the world’s finest beaches. The best beaches and the most popular are on the west coast in the resorts of Patong, Karon, Kata, Kamala, Surin Nai Harn, Bang Thao and Mai Khao. As well as its famous beaches Phuket offers many more attraction such scuba diving around its neighboring islands, the most popular being Phi Phi Island, Raya Islands and the Similan Islands. Shopping is not to be missed with its many night markets, as well as Central Festival and Jungceylon if you prefer the air conditioned international shopping. Patong Beach is undoubtedly the epicenter of Phukets entertainment scene with its wealth of bars, clubs, live music and cabaret shows, but there is still plenty to discover in other areas such as Phuket Town with its Sino-Portuguese architecture, small bars, clubs and great Thai restaurants. 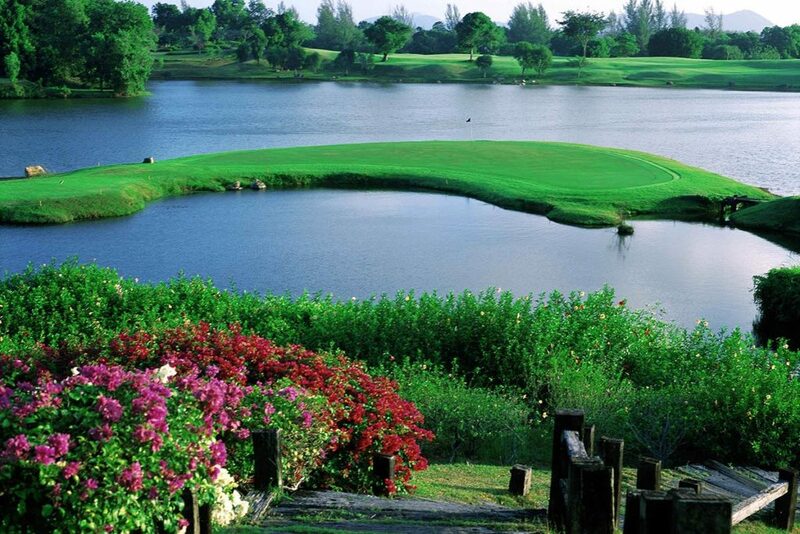 The island itself has eight golf courses with a variety of challenges to suit every golfer from the highly rated and spectacular Red Mountain, the championship test of Blue Canyon to the well manicured resort course of Laguna. Most golfers prefer to sample the complete Thai experience and stay in the hotels at the popular resorts but there are other options such as The Golfers Lodge at Blue Canyon where you enjoy staying on the course or for complete flexibility the island offers a variety of villa options in exclusive areas such at Laguna and Surin Beach. Another popular addition to the golfing scene in Phuket are the Golf Academies where you can learn to play golf in a relaxed atmosphere whether it’s on the range or a playing lesson with one of qualified PGA professionals.